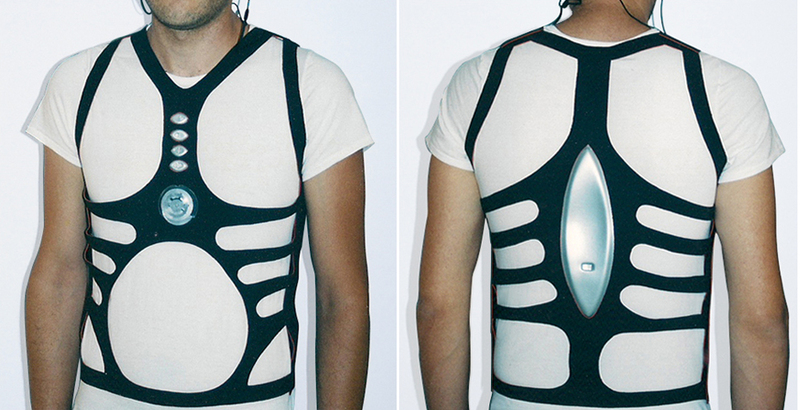 Industrial designer Rafael Rozenkranz has created a jogging suit embedded with an mp3 player in the garment itself. 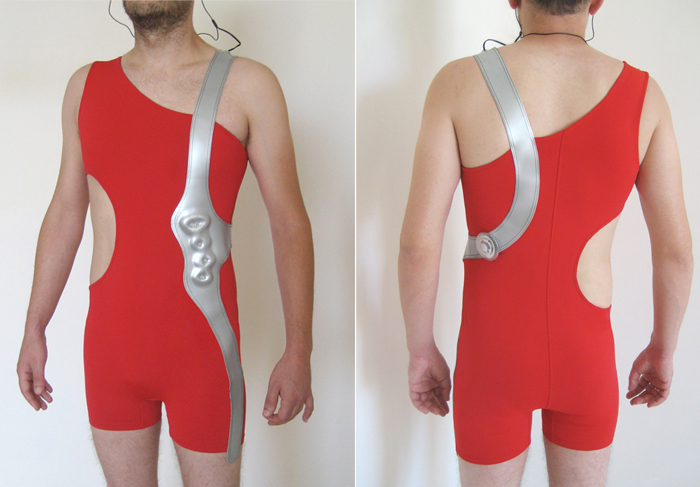 The spandex jogging suit is powered by a kinetic motor so no batteries needed. 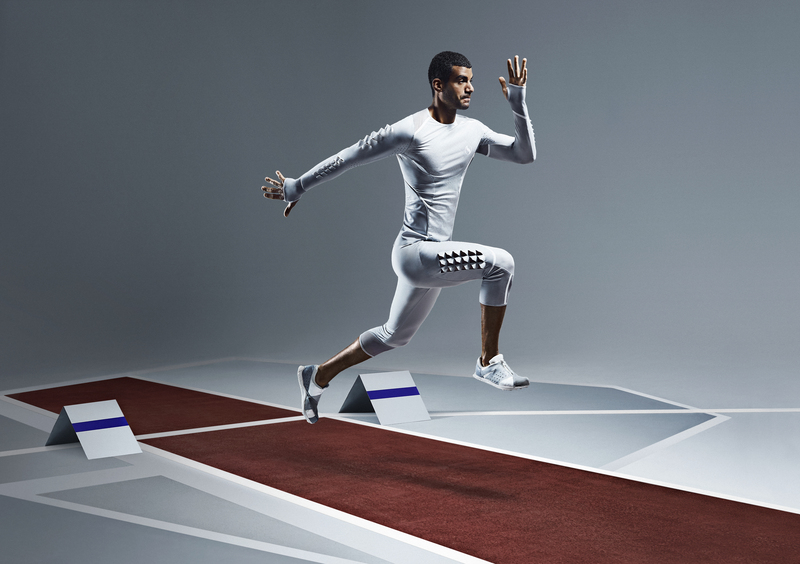 Since you obviously will be sweating profusely in this lycra onsie, the jogging suit is completely washable.